It was wonderful to learn today that Saya is now ready to return to Kurdistan with her mother. After a number of months with our Shevet Community we have all grown to so love these 2. They both conduct themselves with a quiet graciousness that is sweet to observe. Saya’s mother is so caring and she is always inviting you to take a seat with her and Saya. Saya had an echo and an ECG today. She was so chilled out throughout both tests. Saya more so than any of the other children recently has had to wait for long periods of time at the hospital and it was nice to sit with mum for this last wait today. 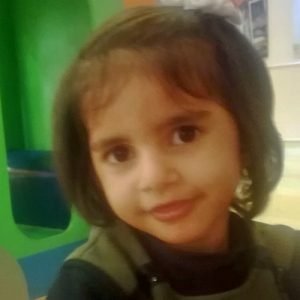 The doctor reported that Saya does have a small amount of regurgitation around the tricuspid valve. This valve was manipulated during her surgery due to the large size of her VSD which needed to be closed. 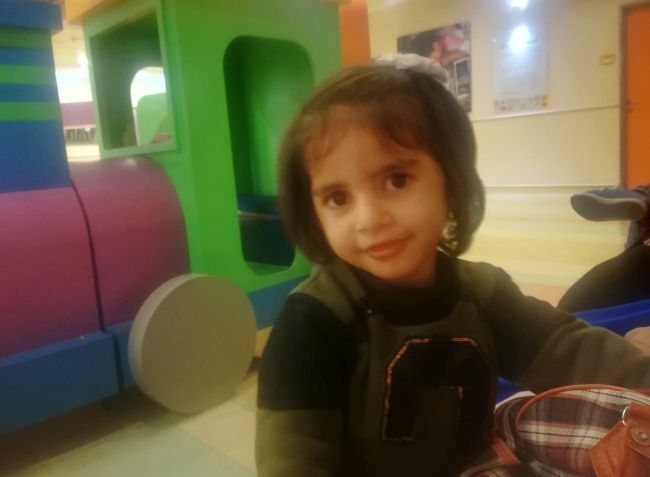 The doctors have looked closely at her MRI and determined that the level of leakage is mild and there is no further intervention needed for Saya right now. 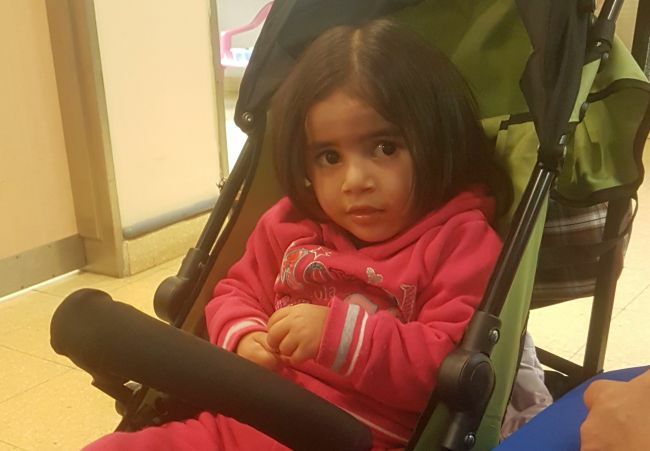 She is a happy and healthy girl who is looking forward to returning to hee siblings and father very soon. Praise God for his work in Saya’s life. Please pray that this time in Israel has sown seeds into this family’s life that cab be watered and nurtured as they return home. Please pray that the Father reveals His truth to Saya and her mother. Today our beautiful Saya and her sweet mother had a long day in the hospital. 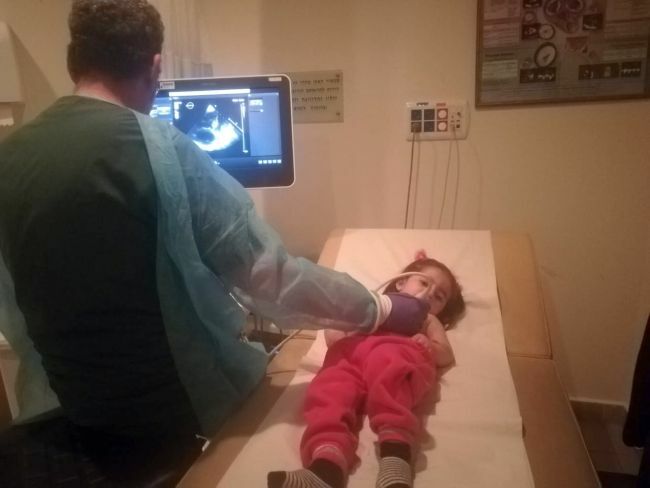 Saya finally had her heart MRI so that the doctors can decide if she needs another surgery or if she can go home. Saya was very upset because she was hungry but she needed to fast for this exam. She cried a lot when the doctor put in an IV line. I tried to calm her down her but I only succeeded for a few minutes. 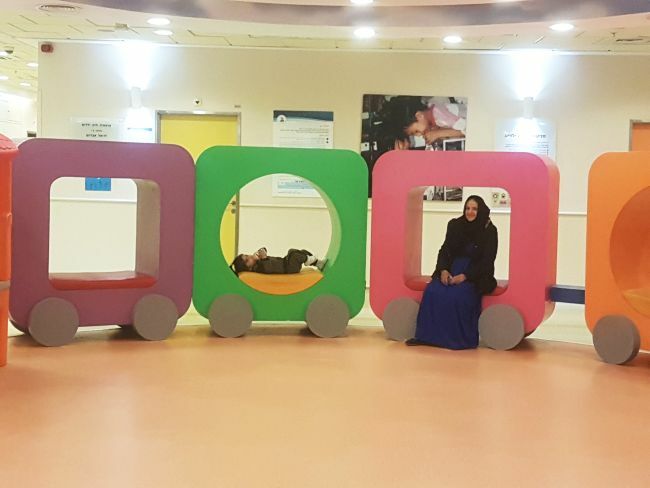 Her mom and I were with her in the MRI room but when the doctor gave sedative medication, Saya fall asleep and we needed to wait for her outside. After about 2 hours the doctor came and he brought us to the wake up room. Saya looked so cute when she was asleep. But she needed 2 hours to wake up. 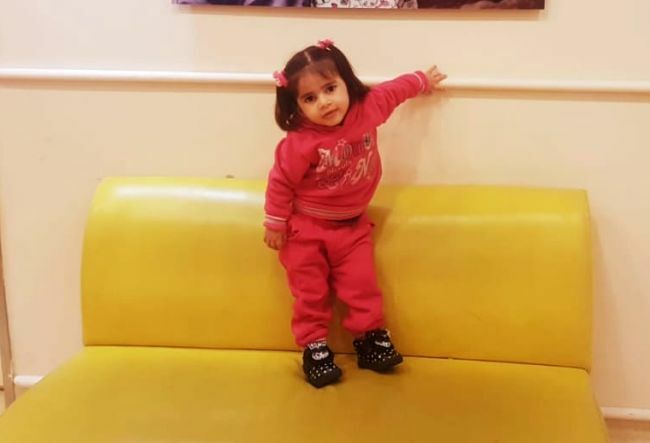 During the waiting time for the doctor, she drank a lot of milk and ate fruits. After 90 min the doctor came and said that everything is fine and we went to the car. We will get the results in a few days. Please keep praying for Saya. Today Saya had an ENT appointment at the hospital. While waiting she slept a little and from time to time she played on the playground. Now she is waiting for her heart MRI. She and her mum were very patient while waiting for us to finish the hospital visits. Please pray for God’s timing on the appointments so she can have them soon. While at Sheba today, the nurse said Saya could have her echo done if we could get her there. So Sophie went to the apartment and brought Saya and mom back. Unfortunately, the doctor got caught up in a meeting, then had to do a cath. But he sent word to us to stay as he would do the echo as soon as he could. So after a long wait, we got it in before the weekend. The doctor wants to consult with the surgeon to see if they need to do another operation to fix a leak. The leak is apparently in an unusual location and the risk may not be worth it as the heart is doing it’s job. The doctor says he’ll be able to tell us their recommendation on Sunday. But he wants her weaned off her prescription by Monday. Please continue to pray with us for healing. Today we had an early start as a team setting off for Sheba. Saya traveled with Hani and Mohammed with myself and Diana in order to attend a neurology appointment. When we arrived at the hospital we learned that there had been a problem with the appointment scheduling but if we were able to wait the doctor would be able to see us. It was a real blessing to be able to spend some time alone with Saya and her lovely mum. Saya’s mum is such a kind and gracious lady and she was so caring with me today helping me to learn a little of the Badini Kurdish language. It was delightful to watch 3 year-old Saya over a long period of time as she is quite shy generally. As the time went on she became increasingly comfortable around me and it was lovely to watch her play and engage with her mum. 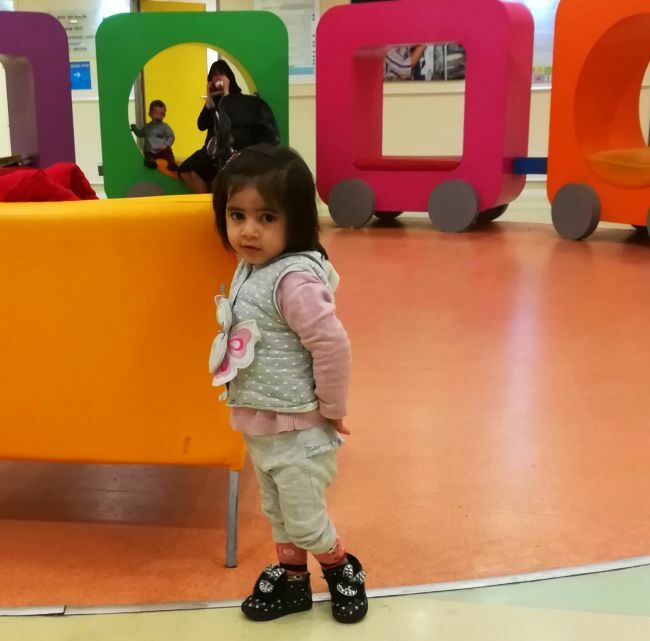 The neurologist felt today that Saya is doing well cognitively, however, he recognised that her language does appear to be quite delayed and she would benefit from a hearing test to see if this is contributing to her language delay. Please pray that we are able to get this appointment through quickly. Please praise God for the healing he has worked in Saya’s life. 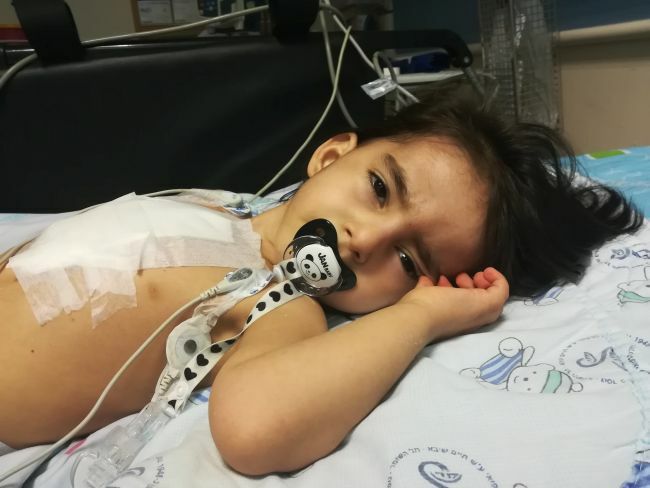 Saya is awaiting further decisions from the hospital regarding next steps for her heart. Please pray for God’s wisdom to guide the doctors and please pray for Saya’s family at this difficult time of existing far away from one another. Lovely Saya had her third echo since her initial discharge today. 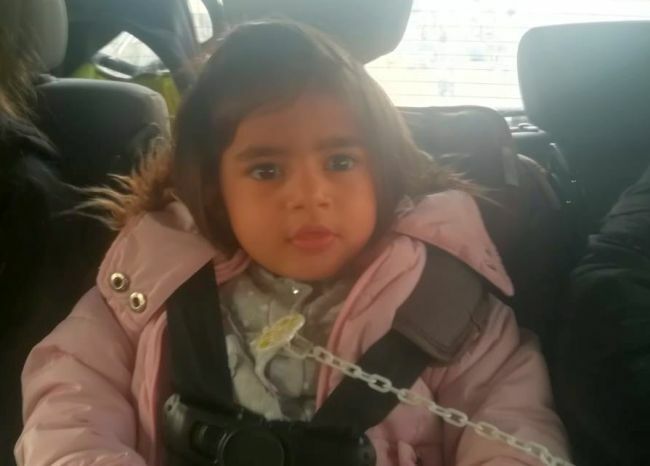 There has been some question marks over her recovery, and at the last appointment mum had expressed her preference to stay for another echo, just to make sure that Saya is doing well enough to go home. And today, the doctor was able to confirm that the initial surgery is healing well, but he still has some queries about her heart overall. He explained, as a good reminder to us all, that if Saya was living in Israel, that she could be monitored, and any intervention could be give easily given. 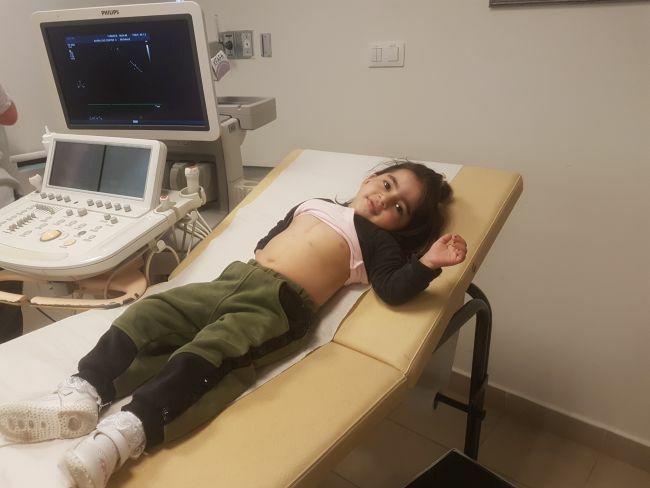 But, as Saya is to return to Kurdistan, where the medical interventions are not as available, the medical team really have to be confident in sending all these children home. So, for now we pray and we wait. Hopefully we will know more tomorrow. 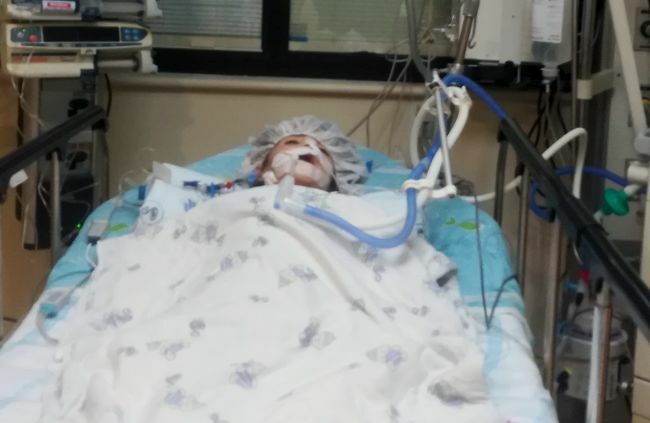 God, please give the medical team clarity and wisdom for Saya. Bless her and keep her. I saw Saya and her mum today, in secondary ICU, only a few days after she had a surgery. The staff in the hospital say she is doing so well after a successful surgery, and she certainly is looking good. Mum was in a great mood, and so happy that Saya is doing well. 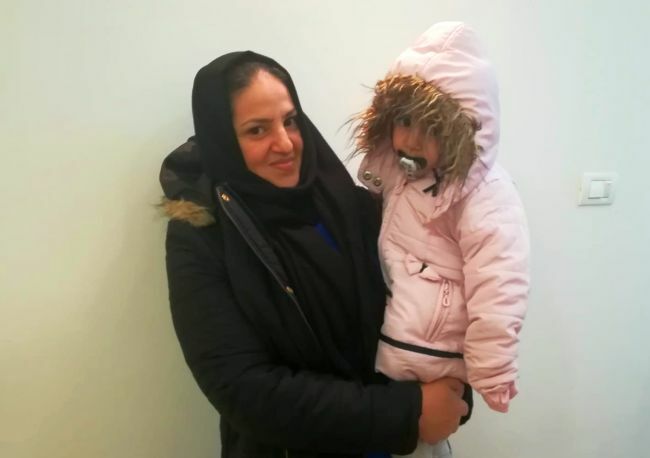 She asked after all the other families, and was especially pleased to hear about Mina’s recovery, as they traveled together. Please pray for Saya to continue to improve each day, and hopefully we will see her back home soon. Today our beautiful Saya had her surgery. 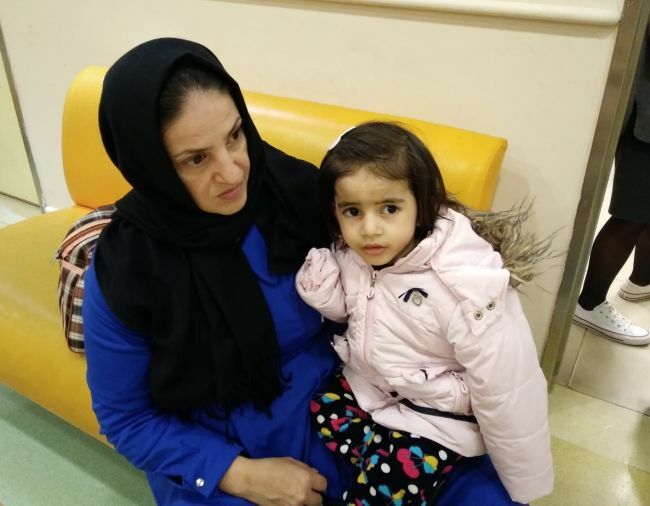 when I entered her room very early in the morning the medical team was preparing everything to take her to the surgery room, Saya cried and her sweet mother tried to calm her and finally they took her. I stayed with her mom who is amazing and sweet. In the beginning she did not understand what was happening and she was a little bit scared. We stayed for about five hours with her until finally the doctor came out and told us that her surgery was a success. They did an echo which showed that everything had gone as expected. Mom was very happy. Although we do not speak the same verbal language, the language of love, laughter and hope was enough. She was very quiet during the waiting time, she would sometimes go into a sea ​​of ​​tears and then looked at me with a smile. I tried a thousand things to distract her and help make the wait more pleasant. Thank God we had a beautiful time together. Saya finally came out of the surgery room and mom was very happy. If everything goes well she can be extubated later today. Please continue to pray for this beautiful little girl, for her quick recovery, and for strength for her beautiful mother at this time. It was wonderful to hear today that we could take Saya to Sheba for her surgery tomorrow. We arrived thus afternoon and were quickly able to go to the ICU where a bed was ready for Saya. The nursing team were so kind and helpful with both mum and Saya. These two have become a lovely part of our Shevet community already. Please pray with us for them tomorrow as Saya has her surgery. Please pray for peace for mum and healing for beautiful Saya. After a first night’s sleep at the Shevet apartment, it was time for Saya to travel to Sheba for her first assessment today. 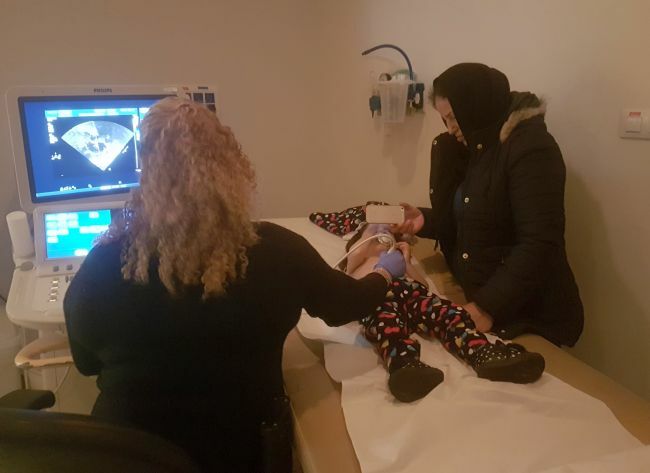 After a time of being initially teary, Says settled into her echo, becoming quite transfixed on watching the pictures of her heart on the ultrasound screen. 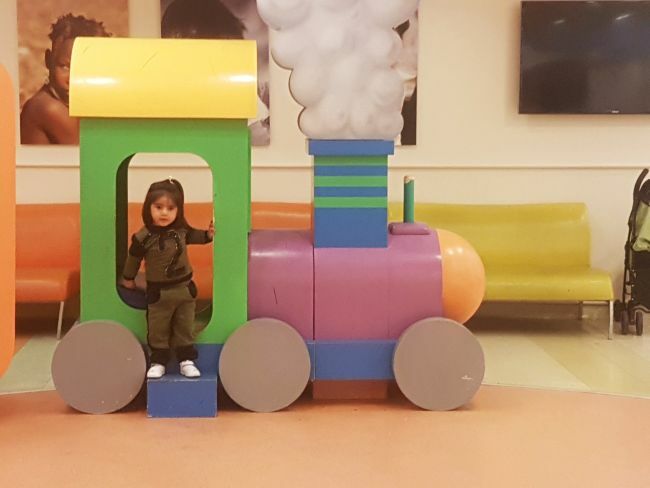 The doctor reported that Saya has a VSD along with evidence of some obstructive tissue in the atrium. It is anticipated that both problems will be fully resolved within a single surgery. Please pray for Saya as she begins her journey here in Israel. Please pray that she and her mother feel included and loved in the community here and may they open their hearts to the Father. 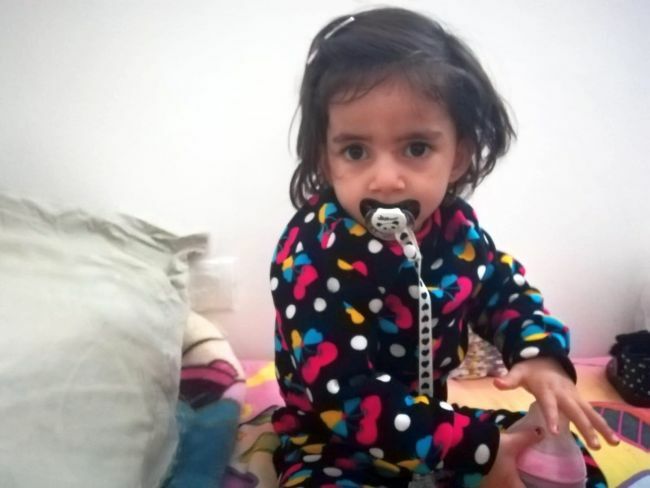 Saya and her mum have arrived safely to our home in Israel, praise God. 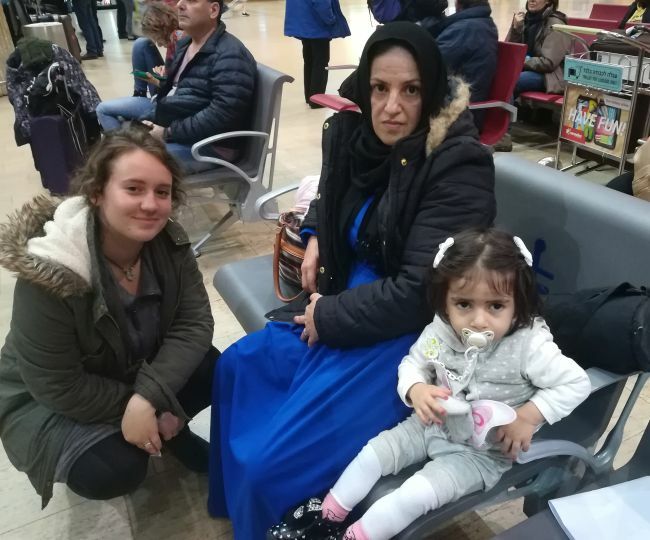 They shared the majority of the journey with little Mina and her mother, but as Mina had to go immediately to the hospital, Saya and her mum had to navigate the airport alone, until we could meet them at arrivals. It was a long wait, but a joy to meet them, and beautiful little Saya was doing very well. 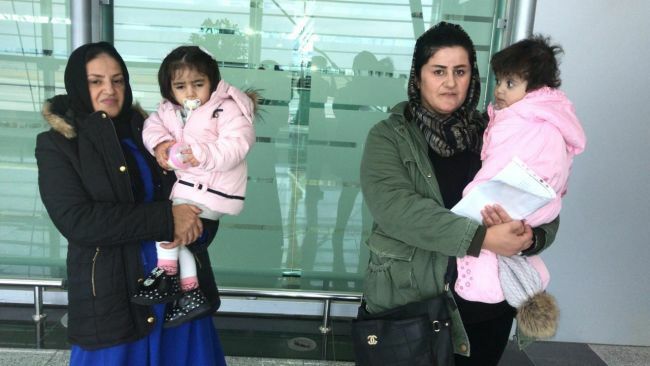 The weather was stormy as we drove, but she was warmly met by a host of Kurdish Mamas who have welcomed her home and is just settling down to rest after her days of travel as I write this. Praise God for bringing these sweet two to be with us over the next few weeks. Saya is due to have her first appointment at the hospital tomorrow, and so please pray that is goes well for her. As of right now, Saya still needs $0 toward surgery and related expenses.